Global environmental protection people and organizations work together to determine the April 29th annual global green action day. Everyone volunteered to carry out public welfare green activities such as planting trees, planting flowers, environmental civilization and persuasion, and low-carbon life. Everyone added a little green to the earth and built a green earth home. 4.29, please join us. I am in Action? Established in Hong Kong in 2015, the Green Entrepreneurship Global Foundation is committed to supporting the development of the world's environmental protection industry by sponsoring environmental entrepreneurship projects to sustainably solve world environmental problems. In 2016, we moved our headquarters to Geneva to provide comprehensive capacity building for young leaders who are interested in environmental protection and entrepreneurship through ¡°project funding¡±, ¡°institutional funding¡± and ¡°college student green ambassador program¡± to support environmental protection with people from all walks of life. 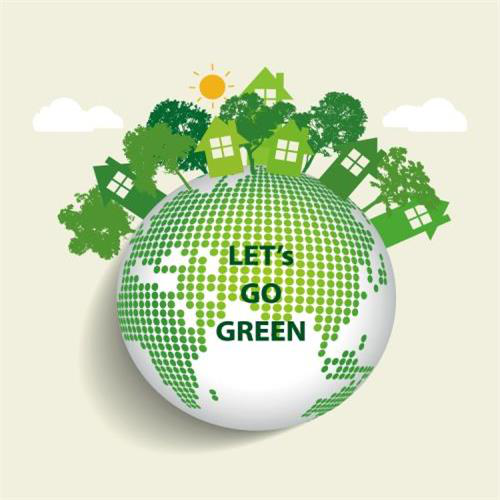 To appeal to the public to support and participate in the improvement of the social environment, and strive to build a green planet. In 2017, we launched a digital currency project based on blockchain technology: Green entrepreneurship coin, the issue rate is in the same ratio, halved every five years, and finally reached about 8 billion. So can spread more quickly and achieve global circulation. Faced with serious environmental pollution and shortage of natural resources, the Green Entrepreneurship Global Foundation promises to provide more opportunities for young people and businesses who care about and love the environment and are willing to start a business to promote the world's green development. Why we do Green chain? Since the 1960s, environmental pollution and ecological damage have become increasingly serious worldwide, and environmental protection has gradually attracted the attention of the international community. June 5, 1972, the United Nations held its first Conference on the Human Environment in Stockholm, Sweden, by the famous "Declaration on the Human Environment" and "Action Plan" to protect the global environment£¬ Propose the slogan ¡°Protect and improve the environment for this generation and future generations to come¡±. This is the first time in human history to study the protection of the human environment around the world. The 1,300 delegates from 113 countries and regions attending the meeting proposed to set the opening day of the conference as World Environment Day. On December 12, 2015, the 195 member states of the United Nations adopted the United Nations Climate Summit in Paris and signed the Paris Agreement on Global Climate Change in New York on April 22, 2016. £¬The main objective of the Paris Agreement is to control the global average temperature increase in this century to within 2 degrees Celsius and to control the global temperature rise to within 1.5 degrees Celsius above the pre-industrial level. It is expected to jointly curb the global warming trend. Although environmental protection has been valued by more and more countries, the global environmental situation is still very serious. The government has no effective supervision and credible data on environmental issues, and the opacity of information; Due to the high cost of environmental management management in some production enterprises, in order to maximize the profits of enterprises, forgery or tampering with corporate sewage and environmental protection data of products; the public's credibility of environmental data for regulatory authorities and production enterprises has dropped to a low point. Therefore, whether it is the government's supervision of environmental issues, or the corporate sewage and product environmental protection data, it must be supported by authentic and credible environmental data, and there must be an open and fair environmental protection ecosystem that is regulated by the public; Therefore, the government's supervision is more powerful, allowing enterprises to take more positive actions for environmental protection, to promote and support more people to participate in environmental protection, to create a national participation, environmental protection atmosphere for national action. Let every day be the World Environmental Protection Day. The GC Global Environmental System will provide applications to governments, businesses and individuals around the world, through which relevant environmentally relevant information can be released: Government: Ecological Policy/Regulations/Civilization System/Management Enterprise: Ecological information, project introduction, product demand/supply Individual: Environmental review/action/demand All information will be publicly announced in the global eco-environmental system, and the information will be automatically retrieved and classified. The relevant information will be automatically matched globally, and the demand and supply will be promoted globally. The government can better carry out the construction and publicity of ecological culture. Finally, the global environmental system will achieves green living for all. Information: including but not limited to enterprises, products, personal credits, statements, etc., the submission of certification information requires payment of the corresponding GC as the certification fee. After the information meets the certification requirements and the certification is completed, all the public certifiers participating in the certification, According to the proportion of the public certifiers in full proportion, if the certification is not passed, the certification fee is allocated in full proportion by the public certifier with a negative view; Public certifier: All GC holders can certify the certification information that they are familiar with or understand. When submitting the certification, they must submit relevant information and a description and proof of the certification information (can be negative materials and opinions) £¬ And pay the corresponding GC as a guarantee of good faith. Become a public certifier of this information, all opinions and information will be publicized in the system, GC holders can also certify support for cognitive information provided by public certifiers that they believe correct. Global data sharing system The GC Global Data Sharing System provides different data sharing and calling interfaces for government agencies, businesses and individuals. Use free sharing, guaranteed sharing, designated sharing, revenue sharing, free calls, paid calls, etc. to ensure the standardized use of shared data, Through the system of automatic retrieval comparison, classification and screening, GC assurance, block verification and other mechanisms to ensure the real and effective sharing of data, global data sharing. Let the vitality of big data, social value and economic value continue to increase. Every institution, industry or individual can submit a certification application and a good faith statement in the GC source (dot) traceability system. 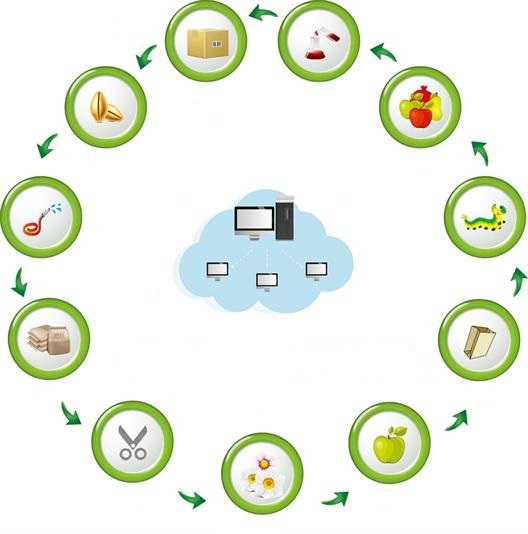 Once the application is approved, the system can be used to provide relevant information and credentials at any stage where source (dot) traceability information is required. Record the information of each link in the system, identify and correct the error through public trust, and ensure that the information is true and complete, so as to establish a complete set of source (dot) traceability information for the information. 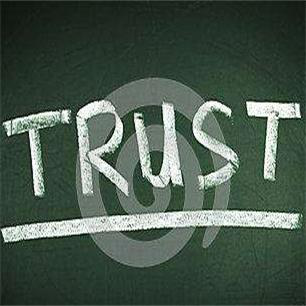 That help to improve service awareness, implementation, win a good reputation, improve credibility and trust! The ownership of the GC system belongs to all GC system participants. 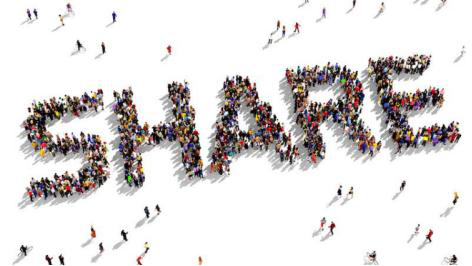 All community members who hold the original rights of GC are equivalent to the original shares of the GC system, and enjoy the distribution rights of the GC system according to the amount of possession. Please register to join GEC Environmental Volunteers. After the registration is successful, the system will present a micro-mining machine, GEC will be obtained during the operation period of the mining machine, or you can buy GEC directly. The GC was replaced by GEC in the early stage of the GC, and the GC was released by the GC interest. The GC equity replacement was the only public replacement. After the replacement is completed, the remaining GC will be stored in a unique address, the address will be publicized to all members, and can be supervised in real time through the block network. GC original interest was given according to different replacement time, which was the only public replacement in the community. Each year after the completion of the replacement is a cycle, and the original interest of the GC will be distributed proportionally according to the quantity of the original interest of the GC held by each member until all the GC have been distributed. The GC system is officially launched. 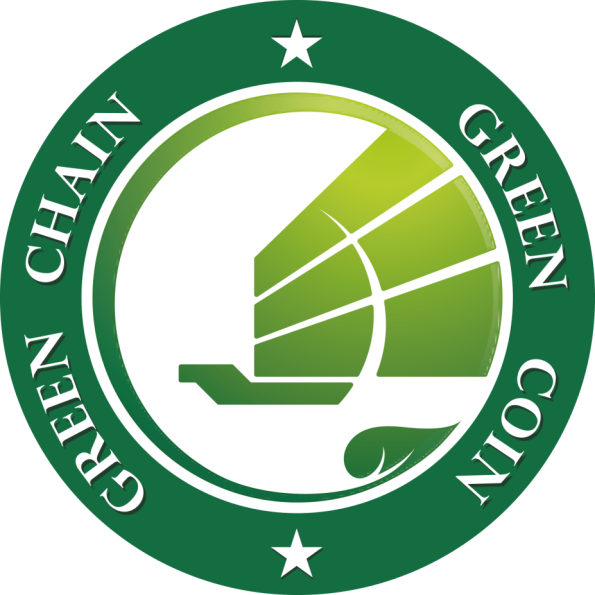 After the completion of the equity swap, the trading platforms of many countries will be launched simultaneously, and the application ports of the GC will be gradually opened, so that individuals, enterprises and governments around the world can use Green Chain to better develop the global environmental protection cause. Let environmental protection be traced, open and transparent, promote the construction of eco-environmental systems in various fields around the world, and create a global eco-environmental protection system. Copyright 2017 GEC Technology Co, Ltd. All Rights Reserved.